Weekend Notes - Absolute, More FTP/Cardrunners, etc. 1. Absolute Poker - I realized today that it was roughly six months ago when the Absolute Poker scandal first broke. 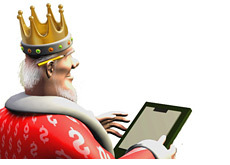 I checked the Poker King archives, and I first wrote an article about the situation on September 17th, and I believe that the story had broken a day or two earlier on the forums. I guess, six months later, I am wondering if the average player (and reader of this site) still plays at Absolute. Obviously they haven't been hurt THAT much by the scandal - they are still the tenth largest poker network in the world according to Pokerscout. Absolute and Ultimatebet are owned by the same company, Tokwiro Enterprises, which is owned by Joseph Tokwiro Norton. Anyways, if you add up the player numbers between Absolute and Ultimatebet, they are around the sixth or seventh largest poker room in the world. The Absolute scandal stung but surely didn't cripple their business as some would have suspected at the time. a) Have you played at Absolute Poker since news of the scandal broke? b) If so, are you satisfied that something similar to this won't happen again? c) If Ultimatebet finds that "NioNio" and possible other accounts did in fact have some sort of an "advantage" over other players at the table, will this force to you re-evaluate your stance on playing at Absolute / Ultimatebet? 2. FTP / Cardrunners. 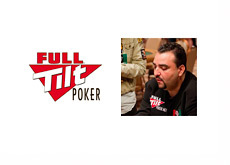 I am sure that Full Tilt Poker didn't expect this kind of an uproar when they signed their deal with Cardrunners.com. The thread on Twoplustwo is sixty-seven pages long, and still going strong. Many people are not happy with the solution proposed by Full Tilt, which would see the "one player to an account" rule be modified to allow Cardrunners pros to play under anonymous and "disguised" accounts while filming videos. Why the rule change? They likely figured that people at the table would play much differently if they were going up against a red FTP pro, and they didn't want this to affect the Cardrunners videos. This situation has turned into a big headache for FTP and I am not sure what they are going to do. They could either enact this policy (which involves use of "anonymous" accounts for Cardrunners instructors, some sort of reimbursement to people who lose money while playing the "pro", and compensation for people at the table, likely in the form of FTP points) and piss a lot of people off, or they could not enact this new policy and force Cardrunners pros to film their videos under their red "pro" names. Either way, I am surprised that the two parties didn't consider this beforehand, as apparently they were negotiating the deal for months. My personal opinion is that the "one player to an account" rule should be strictly enforced. I don't think that FTP should be changing their terms and conditions to accommodate a new business deal, and I don't believe that they anticipated this level of backlash. The whole thing is just strange to me. Also, if an "anonymous" account is used in a video and people become aware of the person behind it, will FTP generate another "disguised" account for upcoming videos? Someone mentioned that the use of "secret" accounts is especially poor judgment, considering that there is likely to be a big story on the Absolute Poker scandal on 60 Minutes in the upcoming months. This is a good point that hadn't occurred to me before. What's FTP going to do here? No idea, but I'm very interested. ps Statements from both FTP and Cardrunners are included in that epic Twoplustwo thread. I'm not making this stuff up. 3. Brunson / Antonius. On a lighter note, sounds like there might be a Patrik Antonius / Doyle Brunson poker battle in the making. You can read about it here. Everyone seems to think that Antonius would steamroll Brunson - I wouldn't be so sure, especially if they are playing a number of different games. That's all for tonight, hope that you all have a great weekend..